Portugal is a major wine producing country with a growing number of quality wineries who are opening their doors to visitors. With amazing scenery, a range of wine styles, often made from indigenous grape varieties, and proud winegrowers, always keen to share their inside knowledge of their region, now is the time to discover the country. This guest post is written by wine communicator Louise Hurren, who lives in the south of France in the heart of the vineyards. We are delighted that Louise offered to share some experiences and photos from a recent wine tour she enjoyed in Portugal. I’m a city girl at heart: on my visits to Lisbon I’ve made the most of its restaurants and bars, and have filled my proverbial boots with Portugal’s well-made, value-for-money wines and tasty (albeit pork-heavy) cuisine. However, there’s good reason to leave the bright lights behind. Recently, I spent a long weekend scoping out three wine-growing areas that are less than an hour from the city. I did my homework before I set off. I knew that the Vinho Regional Lisboa area incorporates nine DOC regions, and that the three tiny DOCs closest to Lisbon – Bucelas, Carcavelos and Colares – previously enjoyed a high reputation. 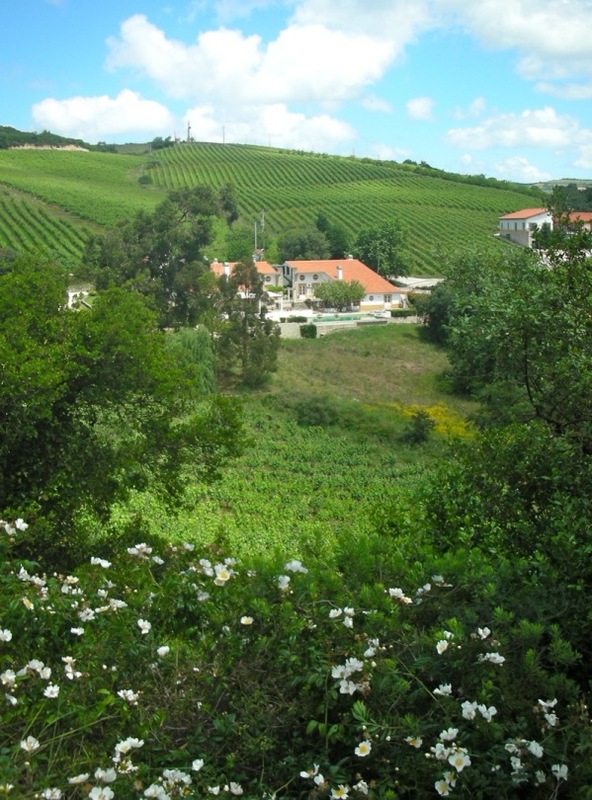 Sadly, competition from other areas and urban sprawl have taken their toll on these small wine regions, but nevertheless, each DOC still has its share of producers making characterful, authentic wines, and some top dining and tasting destinations: you just have to make the effort to go find them. I spent a full day visiting Bucelas; Colares and Carcavelos are side trips and will be the subject of a later post. Sheltered from the Tagus estuary by a range of hills, Bucelas is a small vineyard region centred around the tiny town of the same name. I drove there from Lisbon (approx. 25 km) in around half an hour, heading north out of the city but it is possible to get there by public transport at a push. This white-only DOC celebrated its centenary in 2011. At one time, Bucelas wines were fortified; the Duke of Wellington helped raise their profile in Britain following the Peninsular Wars, and in Victorian times, they were quaffed as Portuguese Hock. By the 1980s, only one company was making Bucelas wines, but recently several producers have invested here, in recognition of its interesting grape varieties which retain high levels of natural acidity, despite the warm maritime climate. 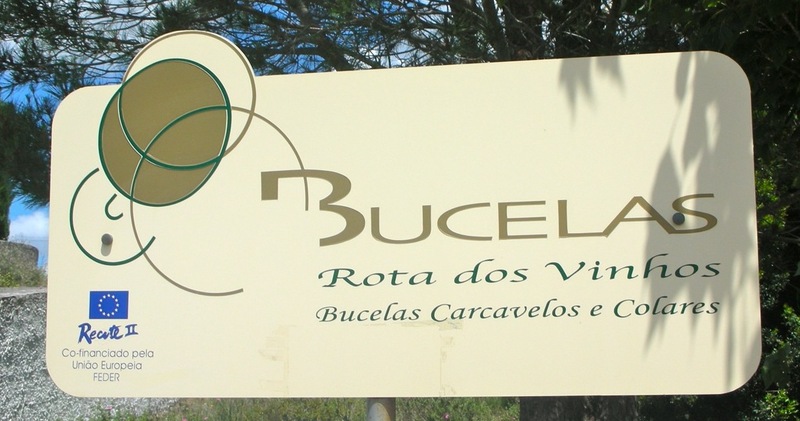 Bucelas’ crisp, dry, still and sparkling wines are made from a minimum of 75% Arinto (Esgana Cão and Rabo de Ovelha are the other permitted varieties). Parking in the centre of town, I stumbled on a building site that is set to become the Bucelas Museu do Vinho (wine museum). It’s scheduled to open in the first quarter of 2012: meanwhile, just across the road is the Enoteca Caves Velhas, a wine shop run one of the DOC’s largest and oldest producers. Here, I got quickly acquainted with the Bucelas DOC, thanks to the friendly English- and French-speaking staff, paying a mere €2.50 to taste a selection of wines, including their own Bucellas brand (note the spelling with 2 ‘ls’), a mineral, fresh and lemony, 90% Arinto blend; their 100% Bucellas Arinto; the single estate Quinta do Boição (late-picked Arinto aged in new oak), and the nutty, sherry-like Bucelas Garrafeira. Included in the tasting was a visit to the rather musty, dusty and dilapidated cellars next door (maybe the Enoteca should donate the contents of its cellars to the museum, where they could be properly presented). Plates of local cheese and ham are also available, should you feel the need to nibble. From the Enoteca, I drove a couple of kilometres out of town to check out Quinta da Romeira, a leading light of the DOC appellation. Steeped in history (it dates back to 1703), the Duke of Wellington used this quinta as his base during the Peninsular War campaign. The man had good taste: I was very taken with the deep pink walls and white woodwork covered with bright red bougainvillea blooms. There are four elegantly-appointed rooms available for overnight stays, a wine shop and 78 hectares of (mostly white) vines (14 ha of Touriga Nacional, Cabernet Sauvignon and Merlot are also grown). From the 46ha dedicated to Arinto, various polished and reasonably-priced Bucelas wines are made. I’m not the world’s biggest bubbly fan, but Romeira’s sparkling white Bruto Vinho Espumante 2006 (wood-fermented, with lees stirring) was surprisingly elegant: it’s made via método clássico (ie. second fermentation in the bottle) and sells in their shop for €7.5. My favourite was the award-winning Morgado de Santa Catherina: rich and ripe, with a creamy texture and good acidity, it’s a steal at only €6; others are priced around €3–4. The stainless steel-fermented Prova Régia Premium is, as its name suggests, fit for a king, and be sure to try their sweet white (VR Lisboa) wine made from botrytis-affected grapes. 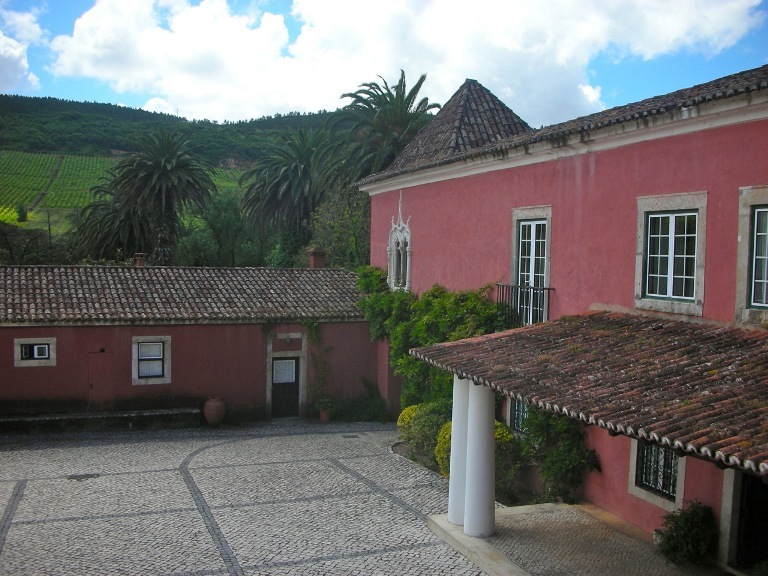 From here, it was on to Quinta da Murta, a modern estate a couple of kilometres north of Bucelas, that features a six-bedroom house with private pool, which should be available for rental from 2012, and a recently-built, temperature-controlled winery, surrounded by 13ha of (mainly white) vines. Producer Mário Soares Franco is a fluent and chatty English speaker, and assisted by winemaker Hugo Mendes, he runs the estate and welcomes groups (the guided tour takes 45 minutes). Phoning ahead is advisable even for individual visits. Most of the estate’s white grapes go into making the Quinta da Murta Bucelas, which is Arinto-dominant with just a drop of Rabo de Ovelha; I tried both the steel- and oak-fermented versions. They use their Touriga Nacional to make a red Quinta da Murta Tinto, full of raspberry flavour and firm tannins. After all that tasting, I badly needed some sustenance. Heading back into the centre of Bucelas, I liked the look of the wonderfully authentic Barrete Saloio restaurant. This spacious, blue-and-white tiled former hostelry (it takes its name from the traditional headgear worn by local farmers) serves hearty, home-cooked dishes that are typical of the Lisboa region. The kindly owner suggested a mixed plate of starter-specialities that included farinheira (a game and flour sausage with an unusual texture – a welcome contrast to the ubiquitous pork) and queijo fresco (fresh goat milk cheese, eaten sprinkled with salt and spread on bread). Amongst the main courses, the traditional black pudding stew served with favas à saloio (country-style beans) is undoubtedly one of the most authentic and filling options, but I opted for some grilled fresh fish and a simple salad, paying around €15 for lunch, excluding wine. If you plan a tour around the wine regions of Portugal, do invest in Charles Metcalfe and Kathryn McWhirter’s Wine and Food Lover’s Guide to Portugal. Wines of Portugal – Information on all the wines and wine regions. 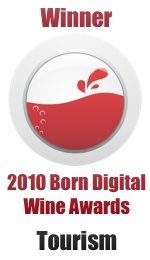 This entry was posted on Wednesday, July 27th, 2011 at 11:21 am and is filed under Vineyard Visits. You can follow any responses to this entry through the RSS 2.0 feed. Both comments and pings are currently closed. sounds amazing! – im booking my flght today!! Thank you very much for this very good article. Please send more as it becomes ready! Glad you liked it, Vasco, I will make sure Louise sees your note.